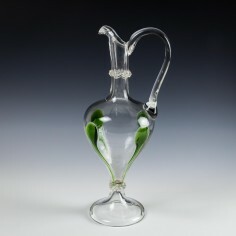 A Stuart & Sons tadpole vase for Liberty & Co from c1910. 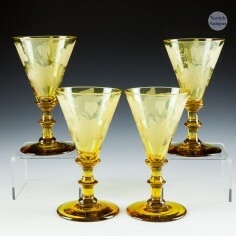 Available from Scottish Antiques online store. 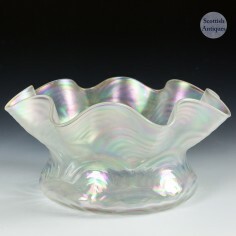 A beautiful John Walsh Walsh pearlescent Venetian glass bowl from c1900. 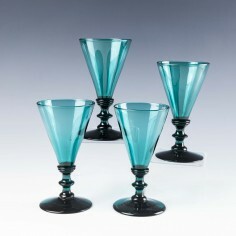 Available from Scottish Antiques online store. 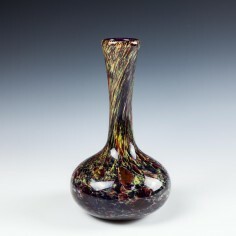 A beautiful John Walsh Walsh opaline brocade vase from c1900. 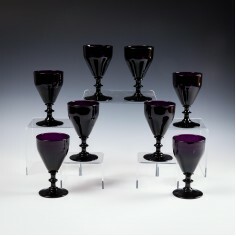 Available from Scottish Antiques online store. 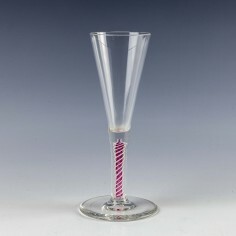 A Stuart & Sons bi-colour peacock vase for Liberty & Co c1910. 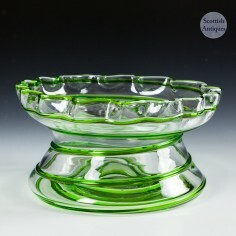 Available from Scottish Antiques online store. 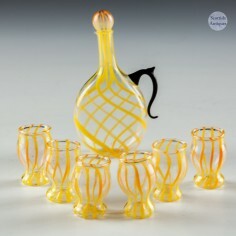 A Stuart & sons art nouveau vase from c1910. 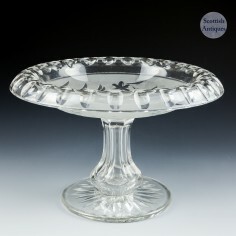 Available from Scottish Antiques online store. 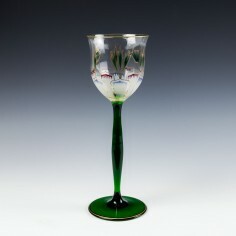 An Edwardian hollow stem, turned rim, cut and engraved glass tazza from c1910. 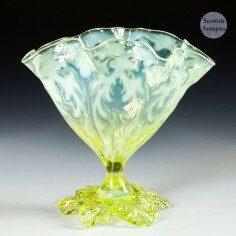 Available from Scottish Antiques online store. There was a whole industry in germany from the mid 18th century to the 1930s which specialised in items for dolls houses. Everything in miniature. I doubt that this set was ever played with, it does not have a scratch ! 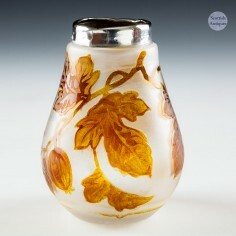 A silver topped hallmarked cameo glass vase with gooseberry decoration. 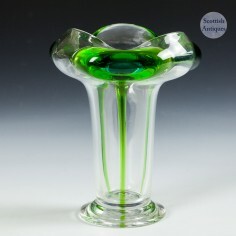 Available at Scottish Antiques online store. 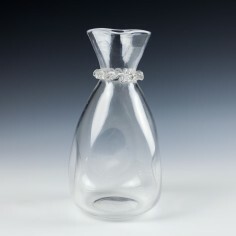 A James Powell & Sons, Whitefriars, arts and crafts bottle carafe from c 1910. 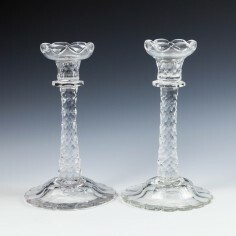 Available at Scottish Antiques online store. 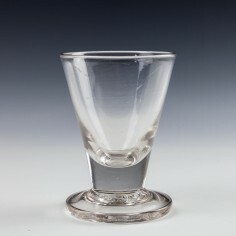 A Theresienthal wine glass from 1900-10. 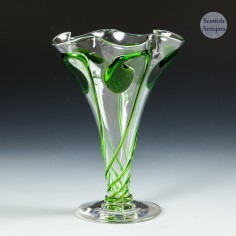 Available at Scottish Antiques online store. 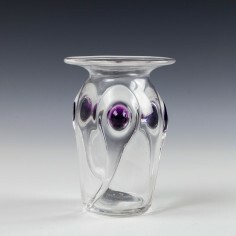 A Stuart purple peacock trail glass from c1905. 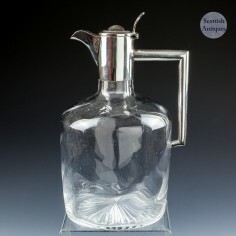 Available at Scottish Antiques online store. The peacock trail design is predominantly associated with Stuart Crystal. 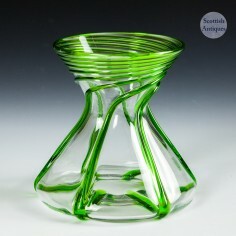 Functional and beautiful, see more at the Scottish online antique store. The early 20th century saw a resurgence of interest in Georgian style, a reaction to decades of elaborate Victoriana. 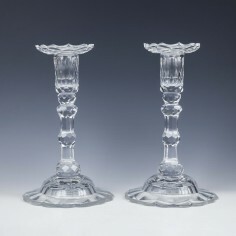 These galsses are in the Georgian style, but the are very moch of the 20th century. 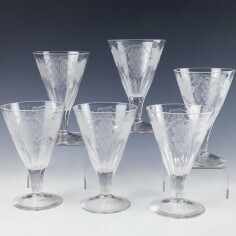 A fine set of large engraved antique rummer glasses c1900, which can be found on our Scottish Antiques on-line store.